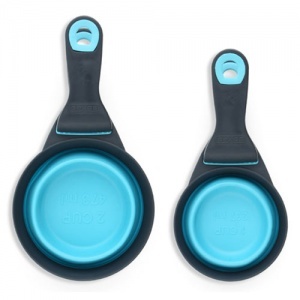 Klipscoop is an ingenious and handy collapsible dry dog food scoop, measuring cup for portion control and clip for the bag of food. Never lose the food scoop again or have to guess at portions. It collapses flat when not in use and clamps to the top of a food bag. At feeding time simply pop it open so it becomes a measuring cup for scooping the correct portion size of dry food every time. 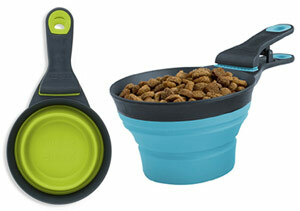 The award-winning Klipscoop scoops an accurate portion of your dog’s food so is perfect for portion control. The pre-measured volume helps avoid overfeeding. 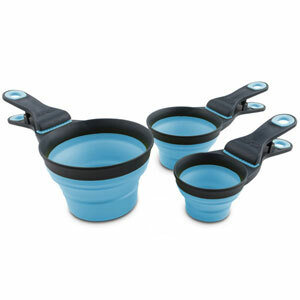 Available in three sizes - 1/2 cup, 1 cup and 2 cups. 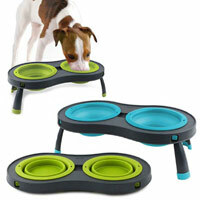 Popware for Pets by Dexas is a line of innovative, collapsible pet bowls and accessories that can be used at home and on the go. 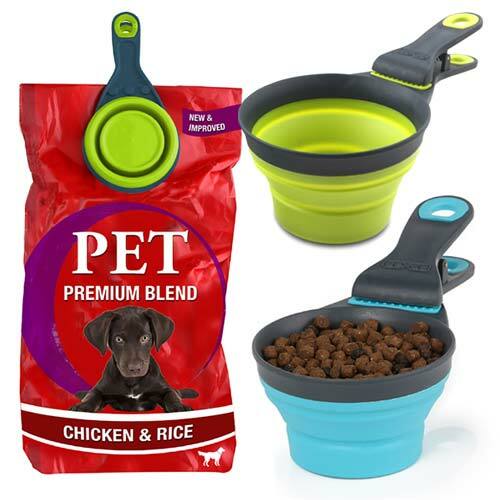 Based on popular, collapsible kitchen tools designed and manufactured by Dexas, Popware for Pets products are the unique solution to pet feeding and watering needs, while being easily collapsible, washable and portable. 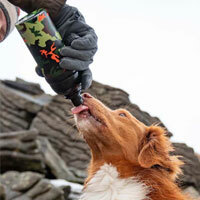 Dishwasher safe and safe for pet food. 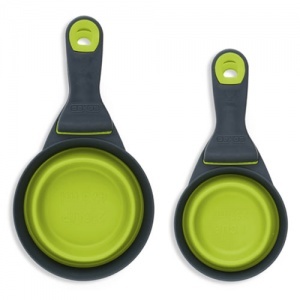 Materials: polypropylene handle, TPE collapsible cup and non-slip edges, stainless steel spring, BPA-free. 2 scoops is perfect for my dog. 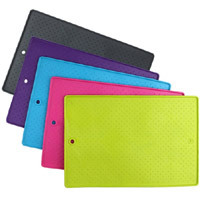 Good, sturdy and very durable. I was always worried about overfeeding my dog - I started off weighing each mealtime, but this obviously fades away over time! Eventually, after misjudging how much to feed my boy each meal, he was noticeably overweight. I looked into upping his exercise, changing his food etc... It turns out I was just giving him too much each mealtime. 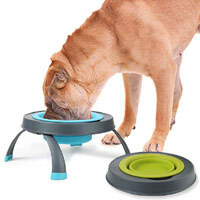 This scoop makes sure he is getting the right amount of food and his weight is dropping off nicely! Thoroughly recommend this product, and the clip means I always know where it is when needed and it helps keep the bag closed too - win/win all round!